We believe that parents are children’s first and best teachers. 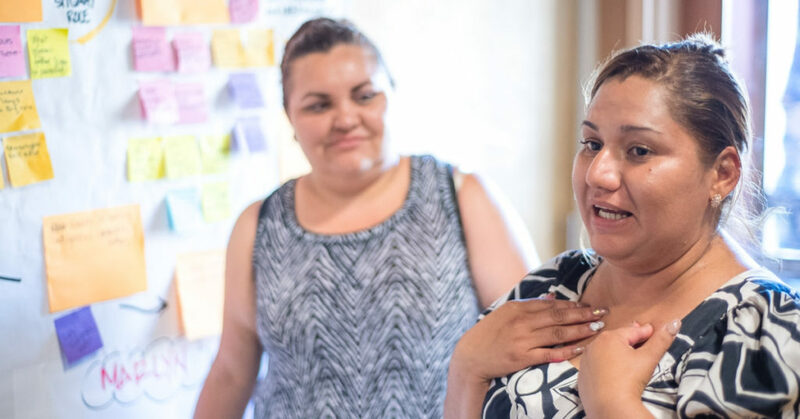 To find out what can happen when parents work closely with family-serving organizations to co-create new solutions for children, we launched the Parent Innovation Institute. The César E. Chávez Branch of the Oakland Public Library, La Clínica de La Raza, the East Bay Agency for Children, and the Unity Council created parent and staff teams to explore how co-creation and rapid-cycle learning could enhance their programs and services, develop leadership and innovation capacity, and strengthen the local community. See our interactive case study with the results and insights from the year-long initiative to co-create with parents. We hope you find it useful in your work to bring better support to children faster.